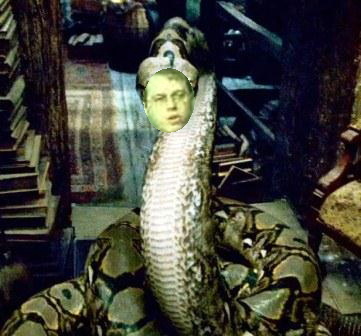 The comparison was helped by J K Rowling’s brilliant conceit of having Voldemort divide his soul up into seven parts, which all had to be destroyed before the world was safe from him. This had obvious similarities to the enormous skill of the Tigers in setting up wings all over the world. But even more interesting to me was the human angle, the way in which vanity and single-mindedness could lead people with no essential commitment to terror to end up fulfilling an evil agenda. Having been a short while earlier in Australia, where Navenethem Pillay had done her usual hectoring, leading an Australian friend to say ‘She’s just been in Australia denouncing us as a Syria-like human-rights abuser. Her ignorance and lack of proportion is breath-taking, matched only by her arrogance and self-righteousness’, I thought her a dead ringer for the simperingly oppressive Dolores Umbridge. 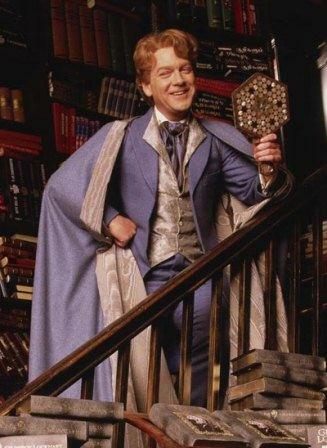 So too the posturing Gilderoy Lockhart was an obvious prototype for Gareth Evans, that strange mixture of self-adulation and cowardice, able without any qualms to walk away from the chaos he created and pretend it had never happened. Comparisons, as any student of literature or of life knows, are meant to increase one’s understanding of both entities compared, and I had no doubt that I was giving readers interested in the motives behind so many strange actions food for thought. Particularly illuminating I thought was the comparison of Ban Ki-Moon with Severus Snape, who is in fact the secret hero of the Potter books, the ambiguous figure the major positive players do not understand, but who turns out to have saved them on several occasions. Severus Snape, destroyed ruthlessly at the end by Voldemort and his devoted henchman the snake Nagini. I was therefore astonished at the reaction to my article of two obviously intelligent people. There were hundreds of reactions, some very positive, others harshly critical. The main line of the critics was that I was being frivolous, with obviously no understanding of the way satire works. 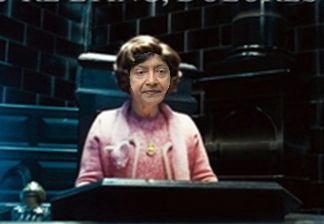 I had been prepared for this, when Yasmine Gooneratne told me that she feared that people might think I was not serious. Being herself a student of 18th century literature and its seminal satires, she herself had much enjoyed the piece. I had written just a few weeks back of the perverse way in which Groundviews had presented the Defence Ministry seminar, attacking the US Defence Attache and trying to put David Kilcullen on a collision course with the government. The latter had robustly repudiated the Groundviews interpretation, while though the Attache had of course to be circumspect given the approach of the American State Department, his very definite statement remained on the table. It was clear then that Groundviews is determined to polarize, and will use every trick in the book to set people in opposition to each other. Thus, concealing the fact that I was dealing rather with those lending support from various places to what I see as the new LTTE agenda, Groundviews highlighted what it claimed was ‘horrible abuse of UN & its SG’, which has nothing to do with what I wrote. The fact that the Secretary General was presented as essentially a positive force, but under appalling pressure, does not of course fit in with the conflict Groundviews would prefer to encourage. 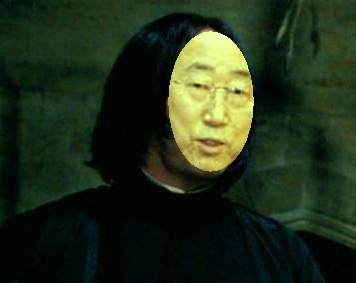 Earlier she had noted that I had said Ban ki Moon is Severus Snape, so she obviously knew that I had not compared him to a villain. But in the world view of such obsessed people, precision does not matter. So, as with Groundviews, she does not consider the implications of my positive approach to the Secretary General and his difficulties, she has to insist on a dogmatic opposition. Her self-publicizing hysteria also has another purpose. Her profile describes her as ‘Head of News, Amnesty International, ex BBC Foreign Correspondent, writing book on the end of the civil war in Sri Lanka.’ Though we are advised that ‘Views expressed are personal’, clearly her current position is given to add weight to her pearls of wisdom. More importantly, she is positioning herself for the publication of her book, which will doubtless be sold on the grounds that she is an expert on Sri Lanka. In fact she had served here as the BBC’s correspondent, from 2000 to 2004. My own view is that, if her mindset is governed by the outlook of that period, she is certainly ill equipped to discuss recent developments. But that of course will not be a barrier to her presenting herself as someone with a deep understanding and sympathy for the country, even if her views are out of sync with those of its inhabitants. My main point though is that it is not an accident that two intelligent commentators persist in misrepresenting my article insofar as it concerned the UN and its Secretary General. This cannot be accidental. I think it tells us even more about the polarizing agenda of those opposed to the current government – and if that contributes to the resuscitation of terror, these worthies simply couldn’t give a damn.